Welcome to the CTMH November SOTM Blog Hop. If not, don't worry as this is a circular hop and you will be able to see Morgan's at the end of the hop. 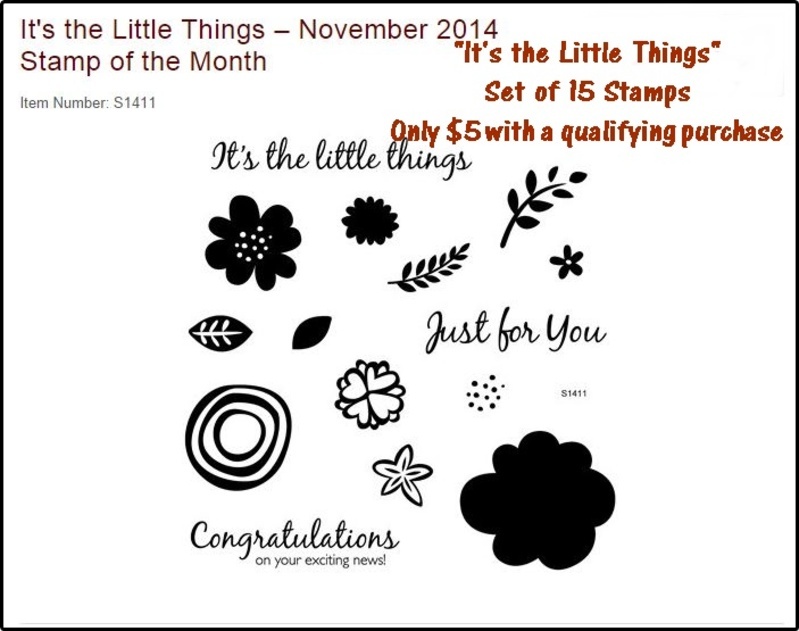 Below is the Stamp of the Month (SOTM) and it is available only for the Month of November. This is a darling little set. I was stumped on how to use it. I don't own any good markers--yet, and this set seemed to lend itself to that kind of stamping. I tried a few designs, but trashed them. And then thought...why don't I just flip through one of Close to my Hearts' cricut Cartridges, and BINGO! That's where I found the inspiration for the card below. I cut the "card" out of black cardstock. Then pulled out the Scaredy Cat paper pack and in minutes I had created this card. I stamped the sentiment on a banner and then added a few random leaves. Quick & Simple. Great job, I love the black contrast to this card. Thank you. I was really stumped with this set. Clever. I would have never thought about stamping on this pattern. It creates a nice border. Nice card. I like the way the green shows up on the Scaredy Cat paper it really complements. I like the way you backed the Thanks cut to make it pop more! You took Scaredy Cat and made it look totally non-Halloween! 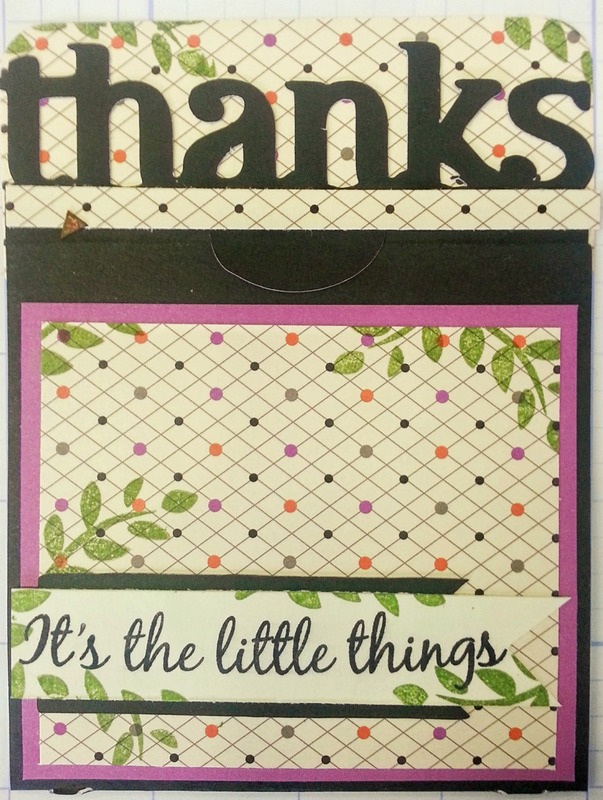 Great use of the stamp set and paper! Super creative and original! Love the mix of colours and patterns together!